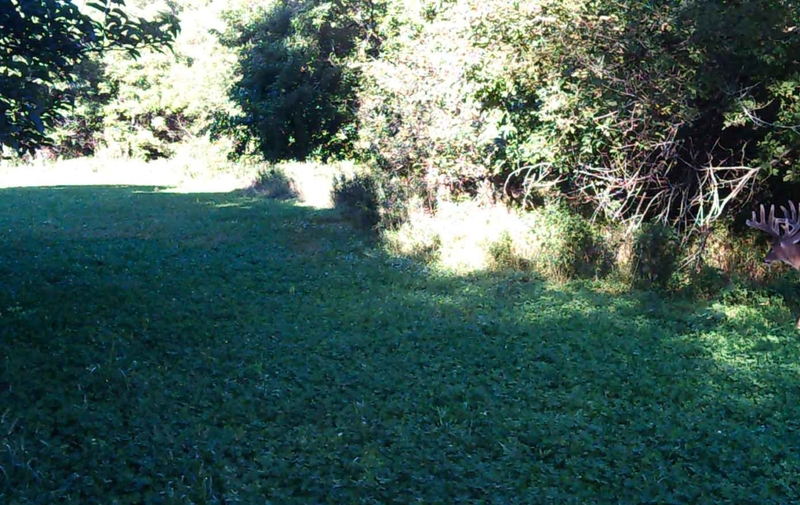 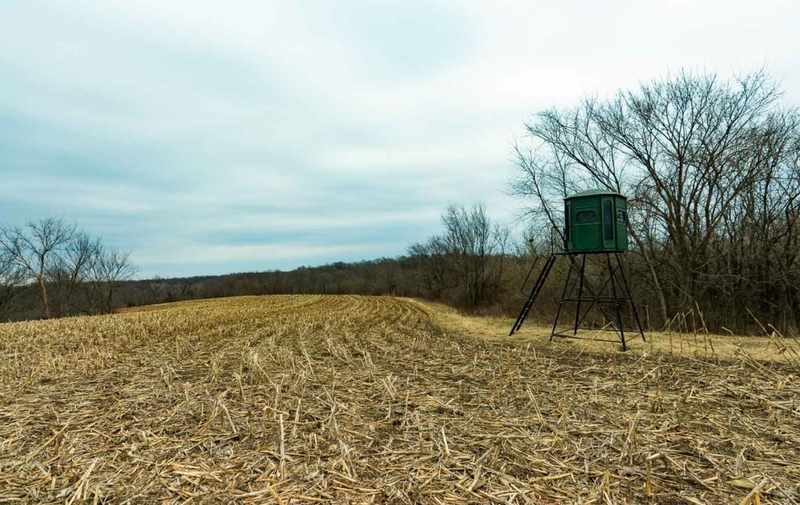 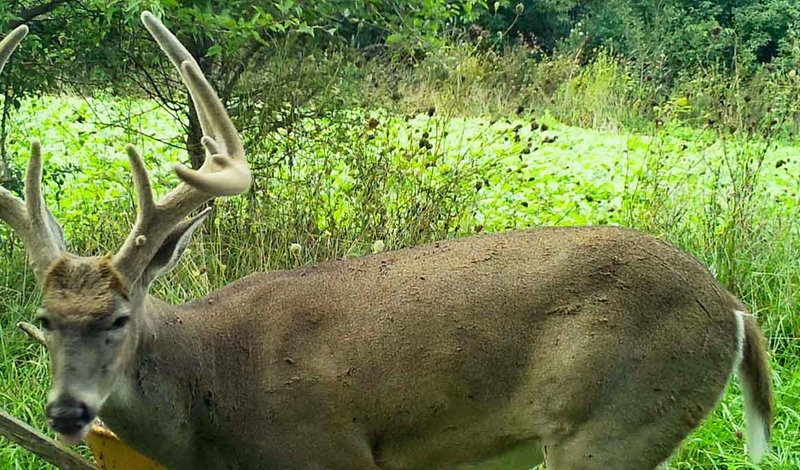 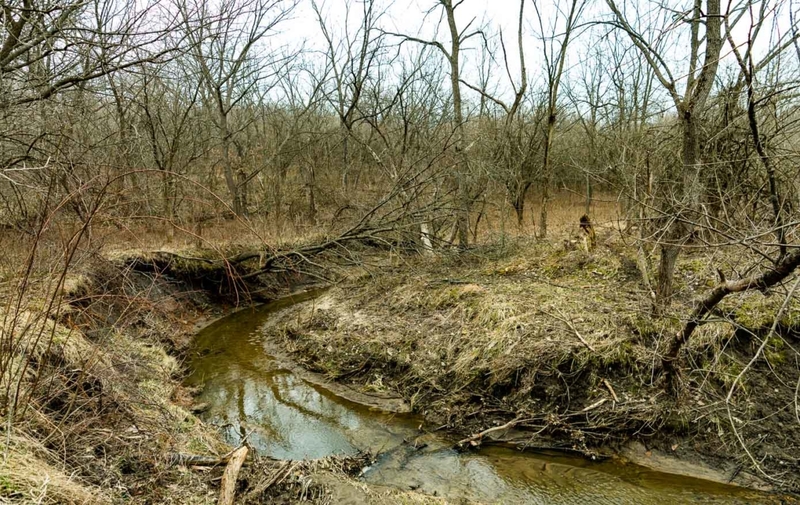 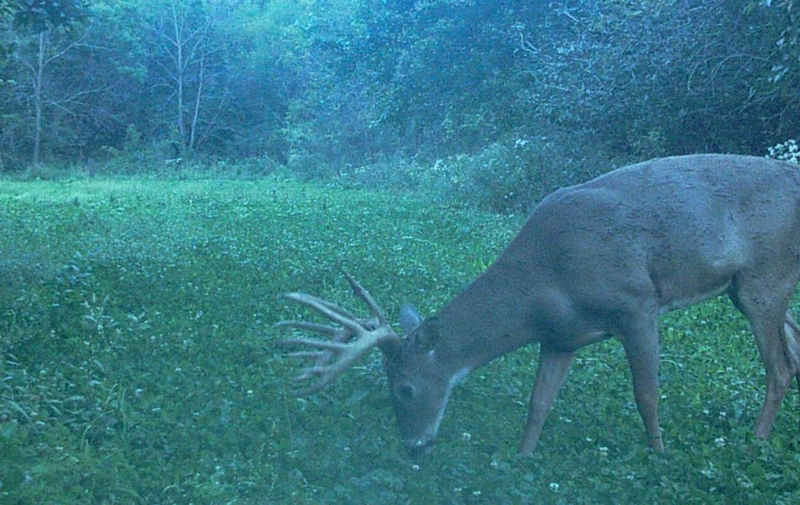 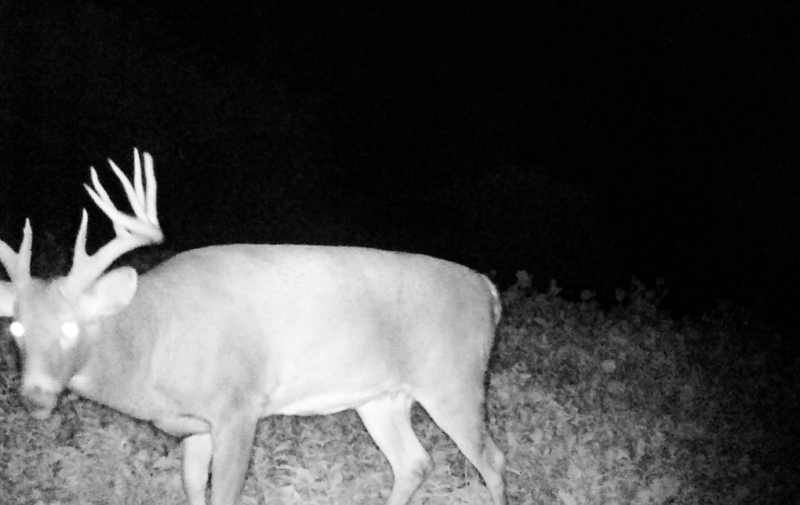 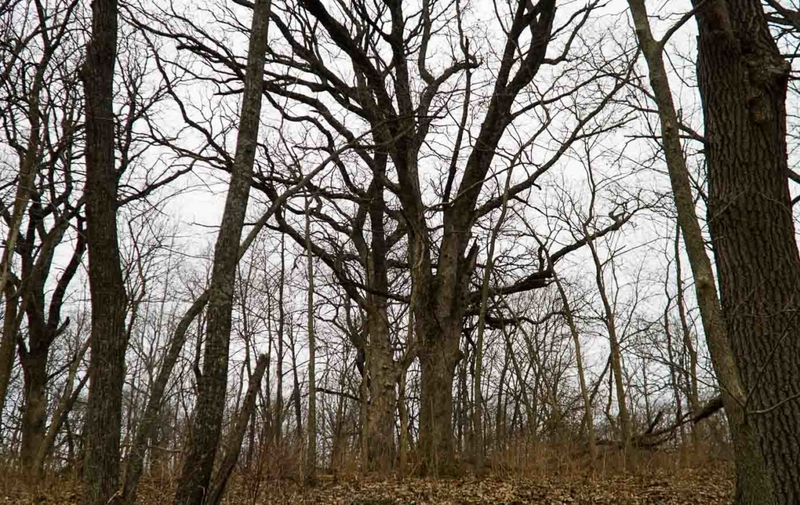 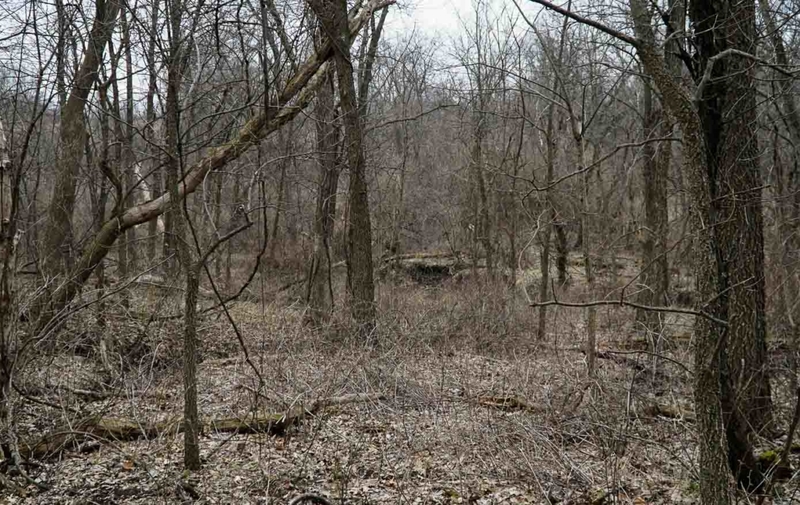 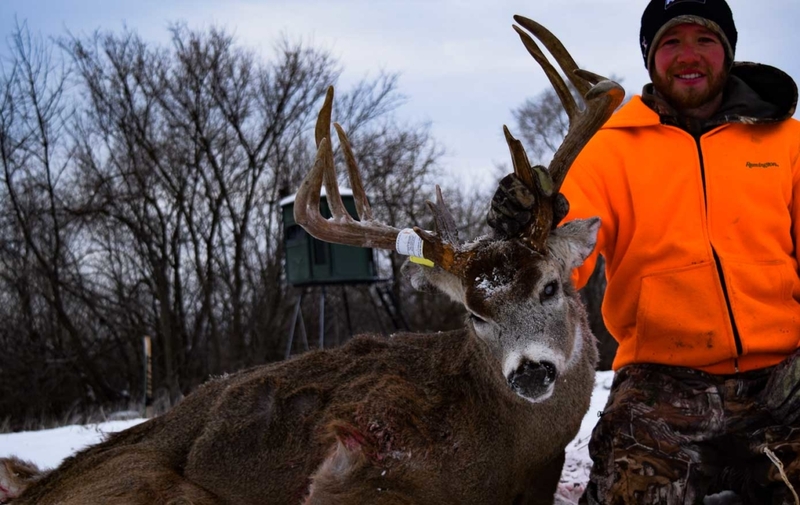 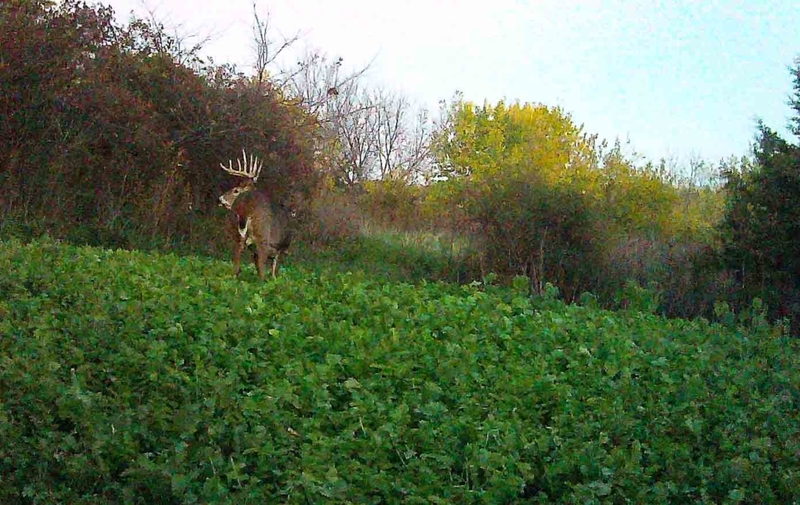 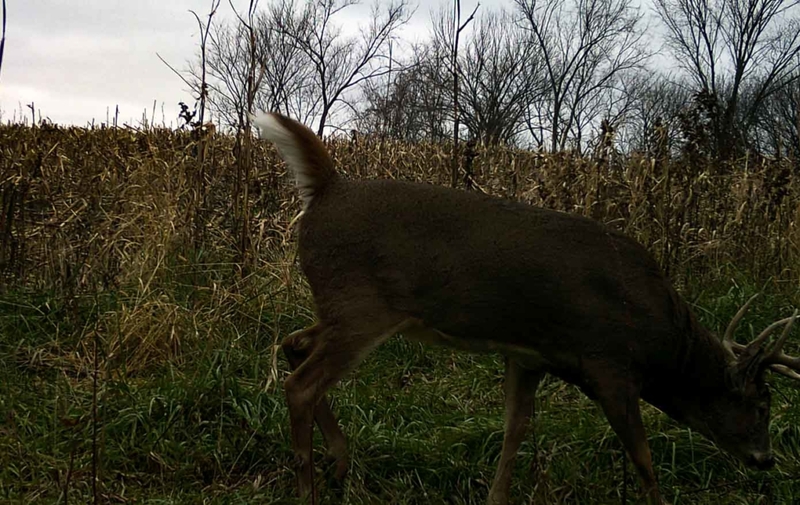 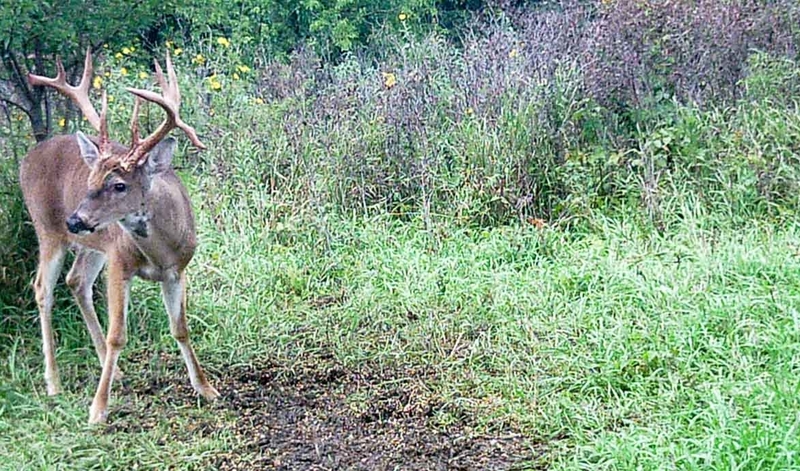 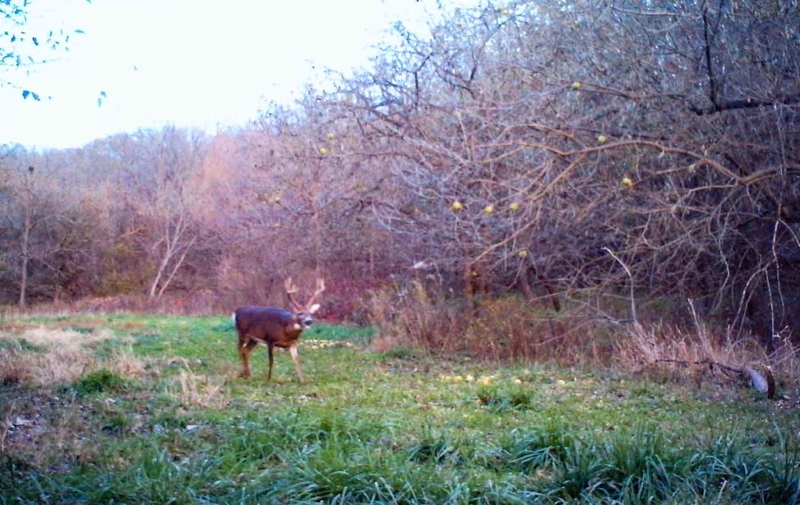 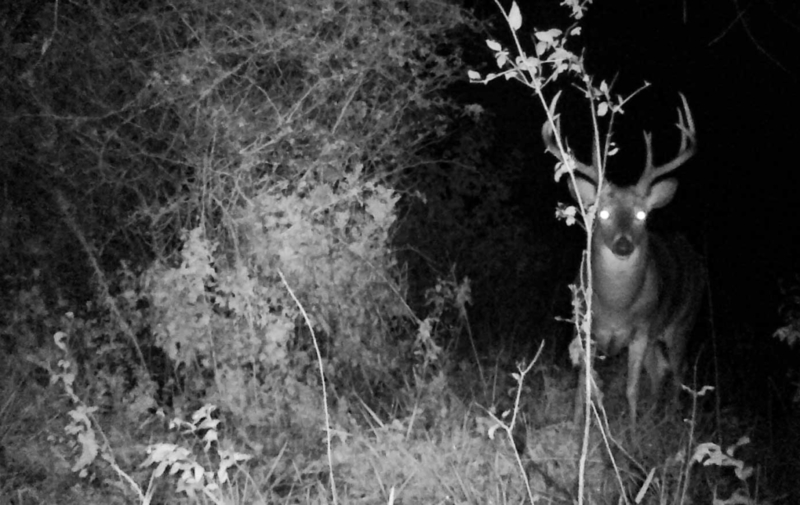 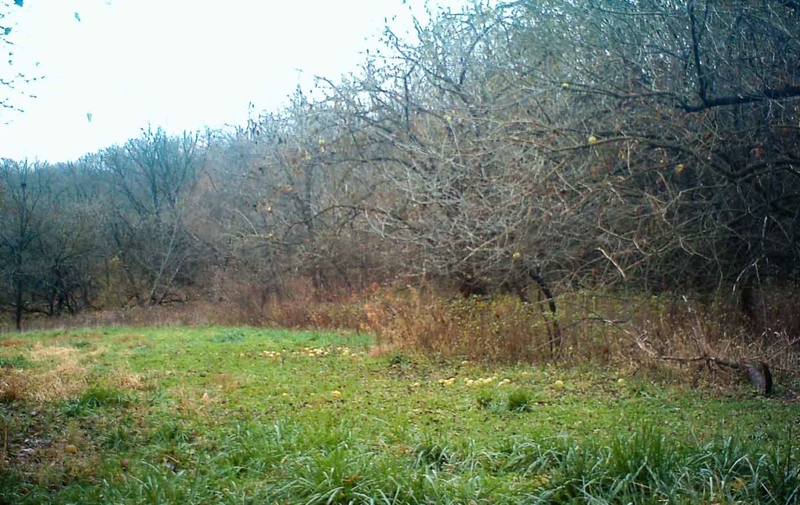 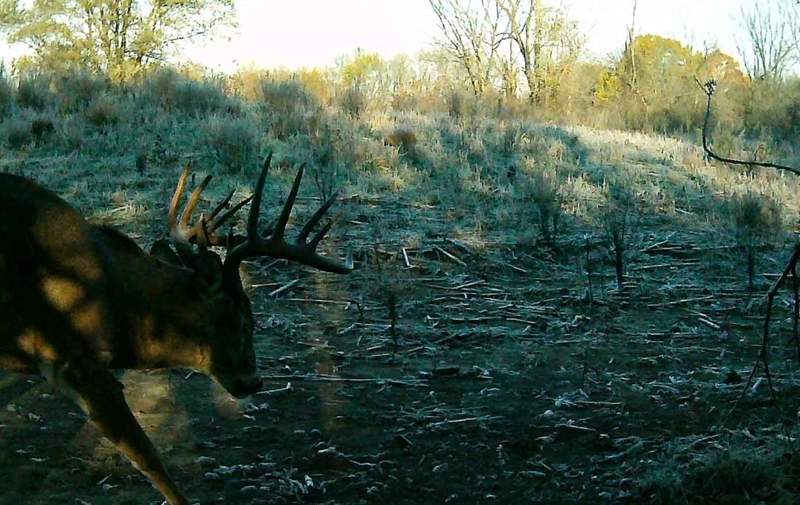 This Lucas County farm is a whitetail hunter’s dream. 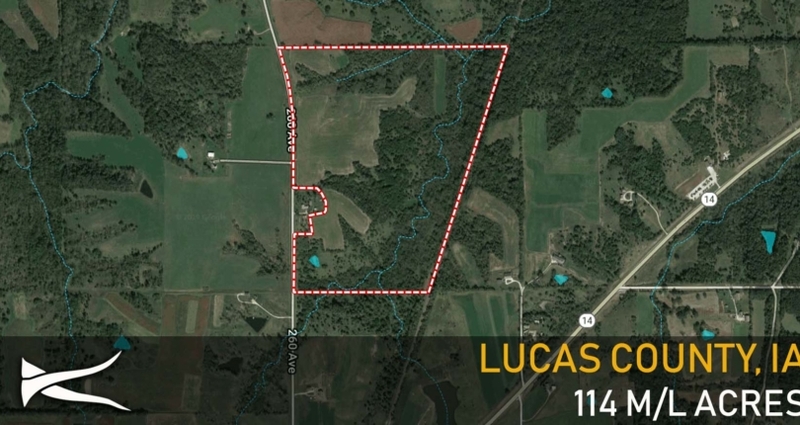 If you had a score card for all the features required to grow and hold big deer, this property would rank high on every single category. 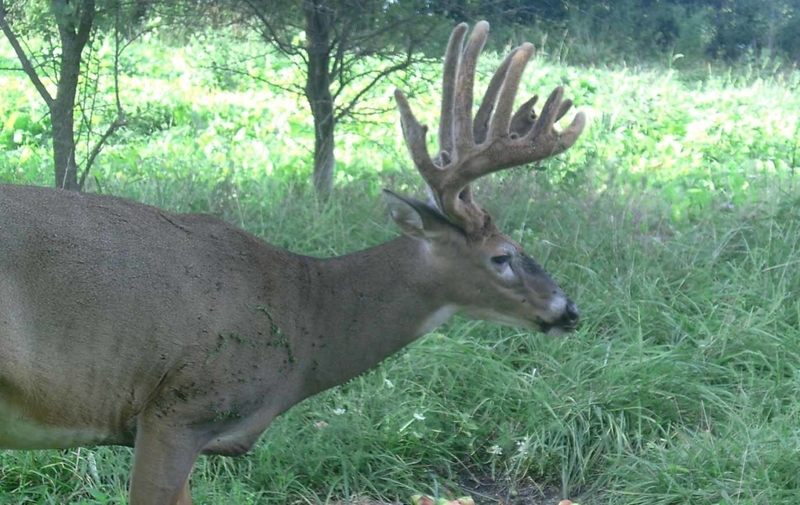 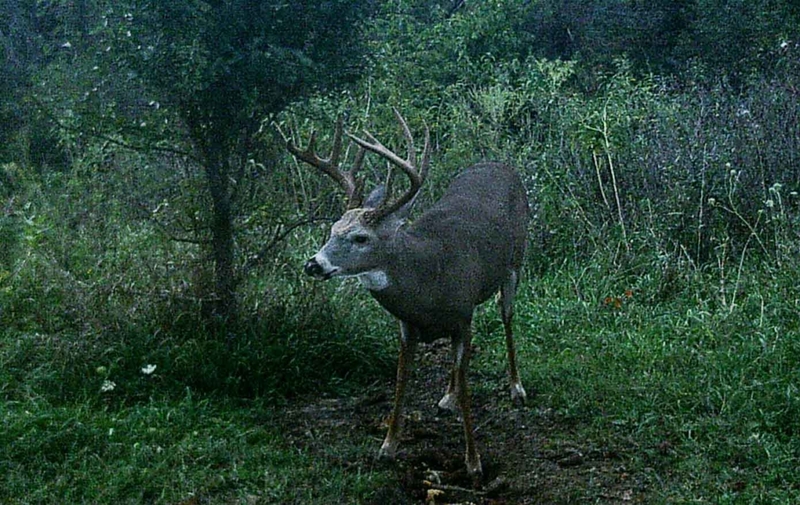 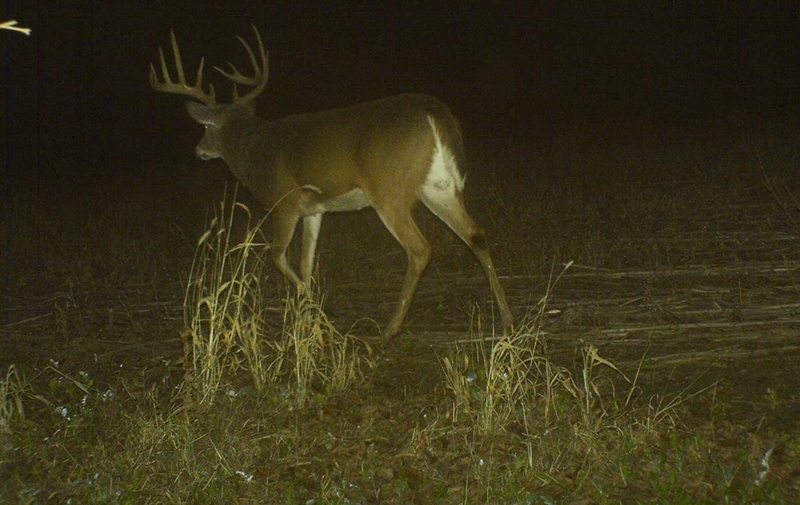 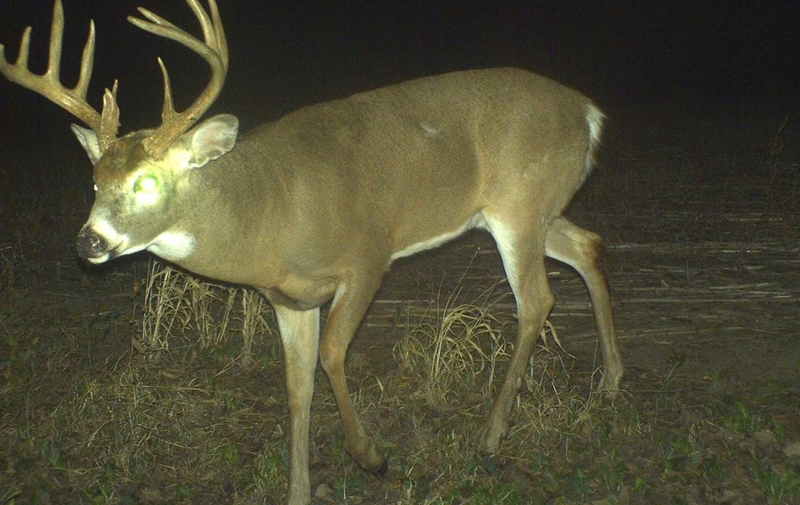 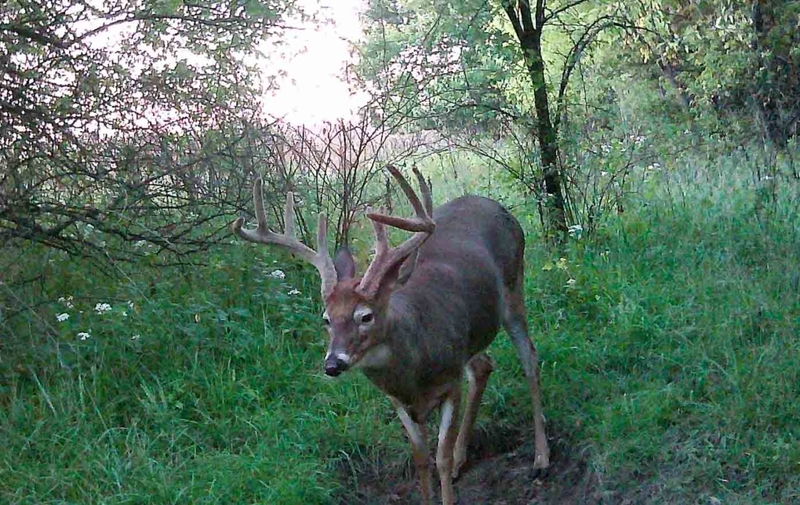 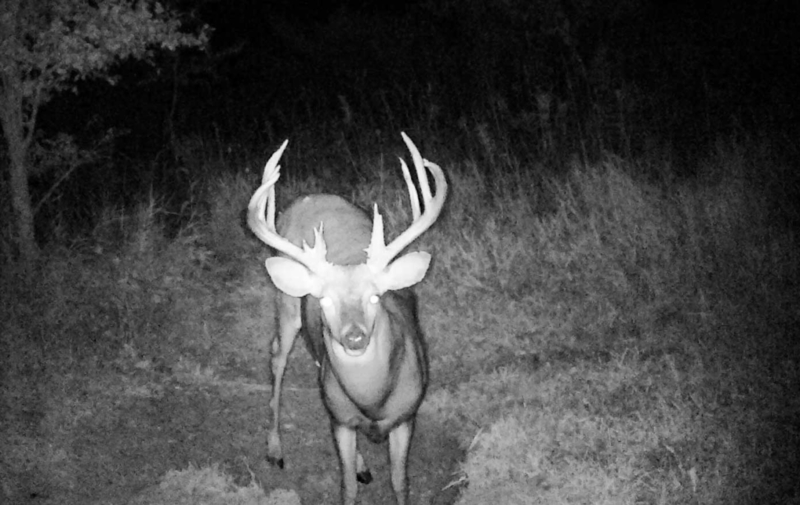 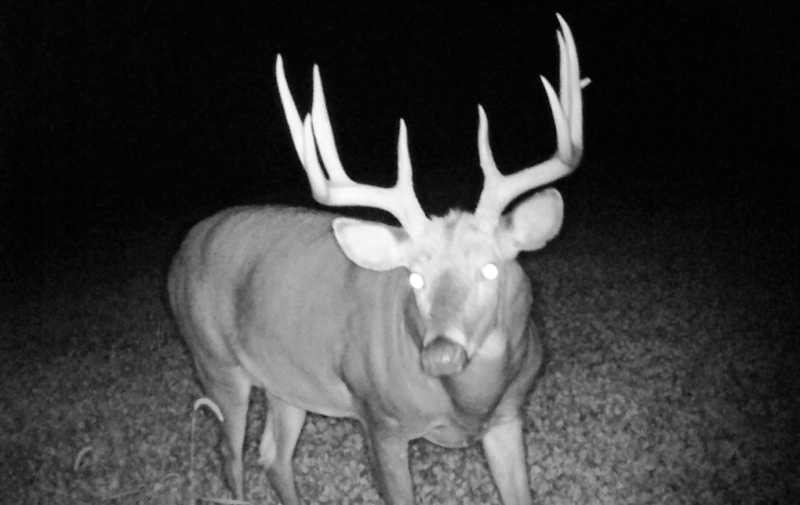 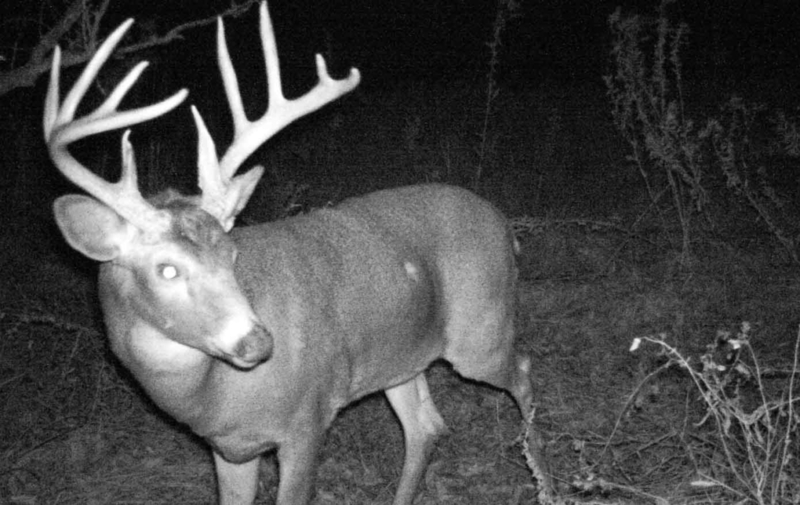 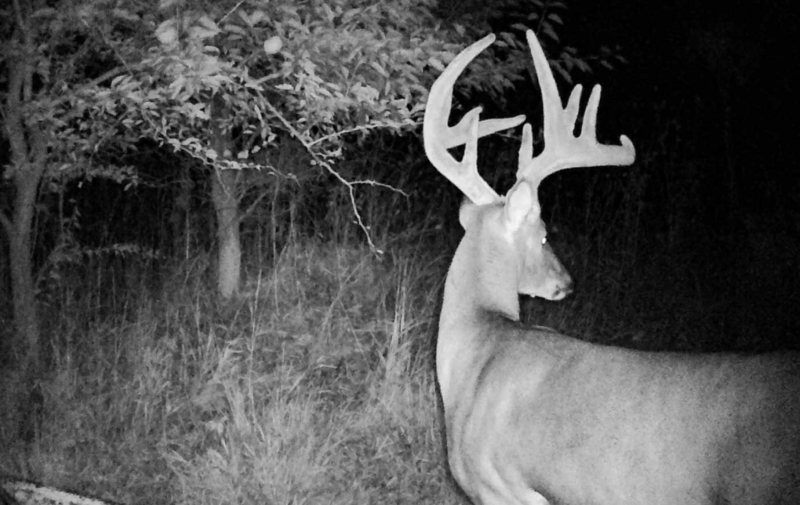 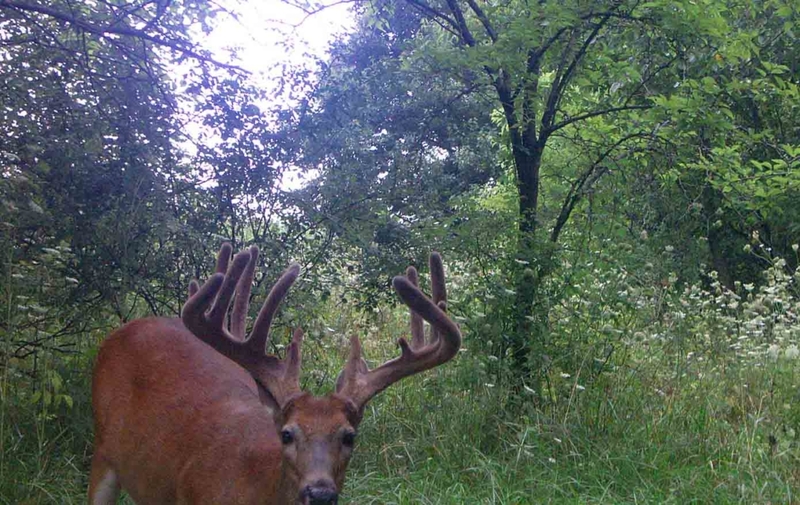 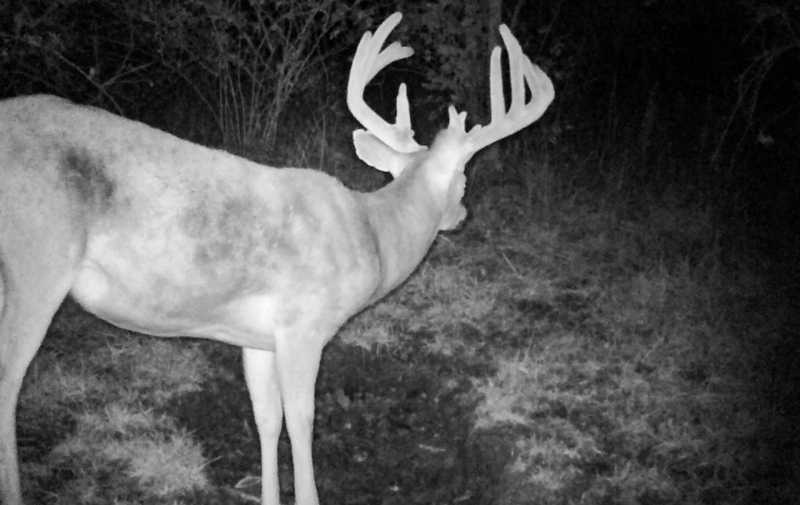 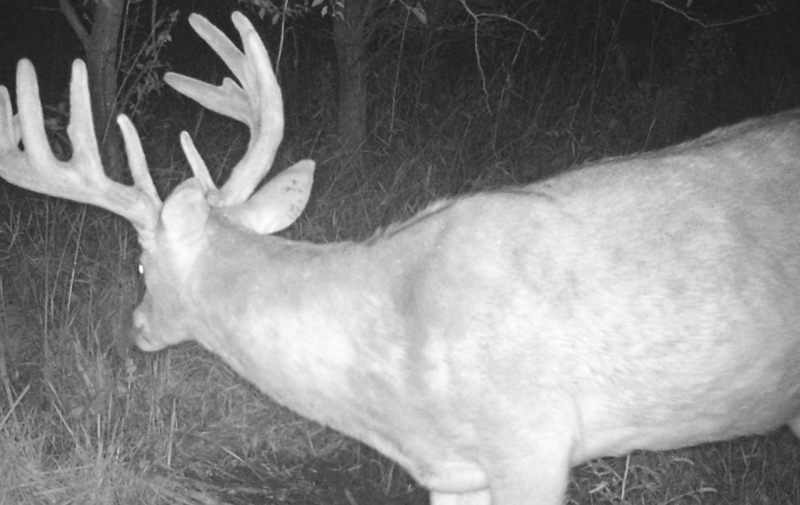 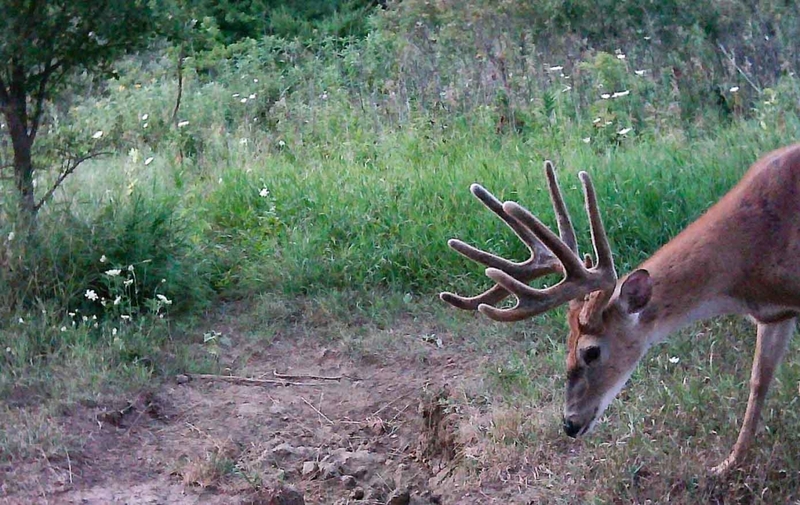 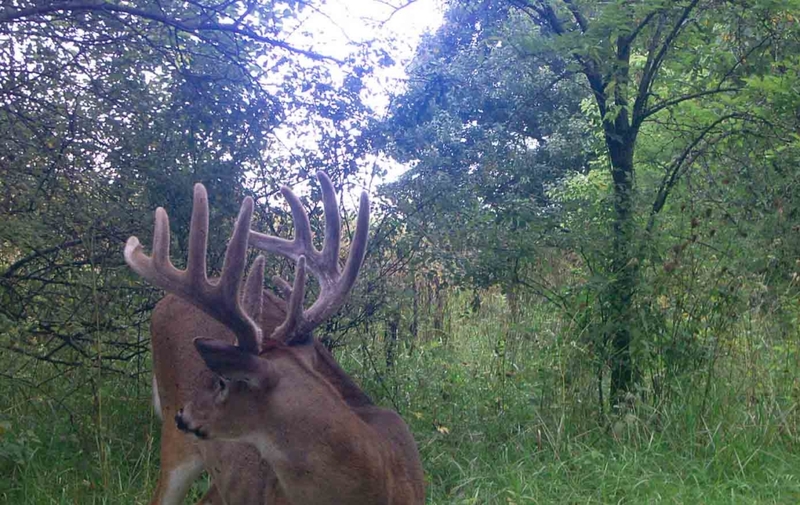 The farm consistently produces mature bucks every single year. 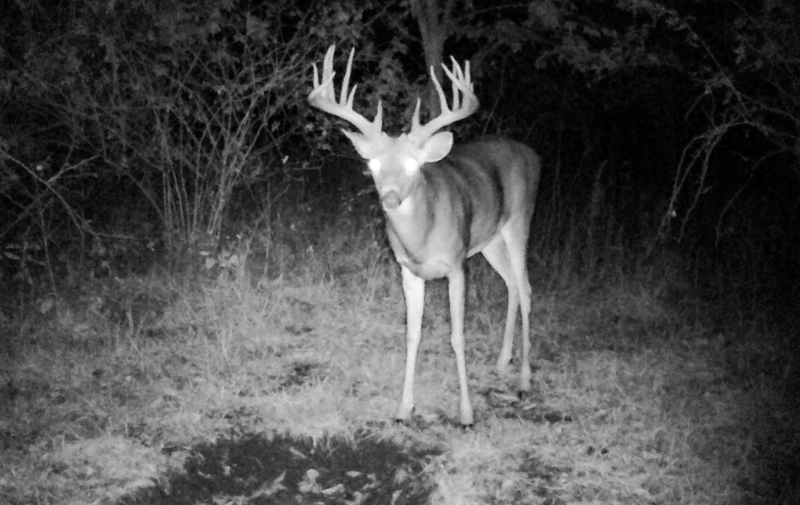 6 have been harvested over the past 5 years, and several older age class bucks are there to hunt for the 2019 season. 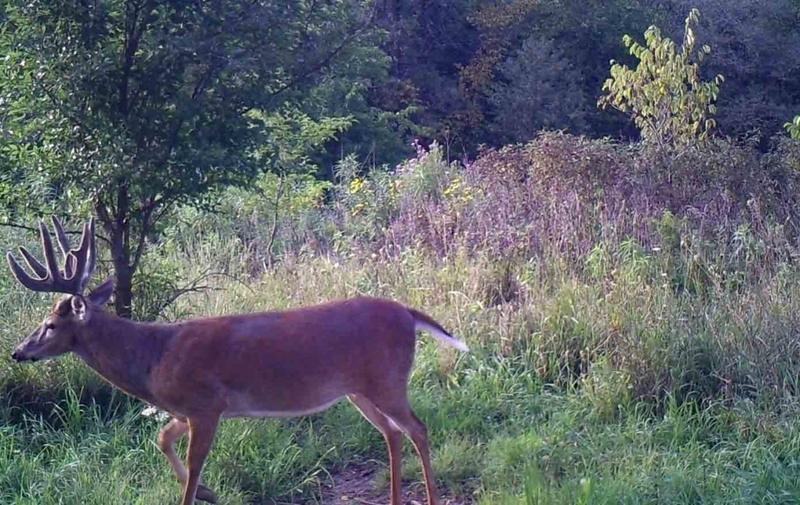 This comes through good cooperation with the neighbors and passing deer until they are of the older age class. 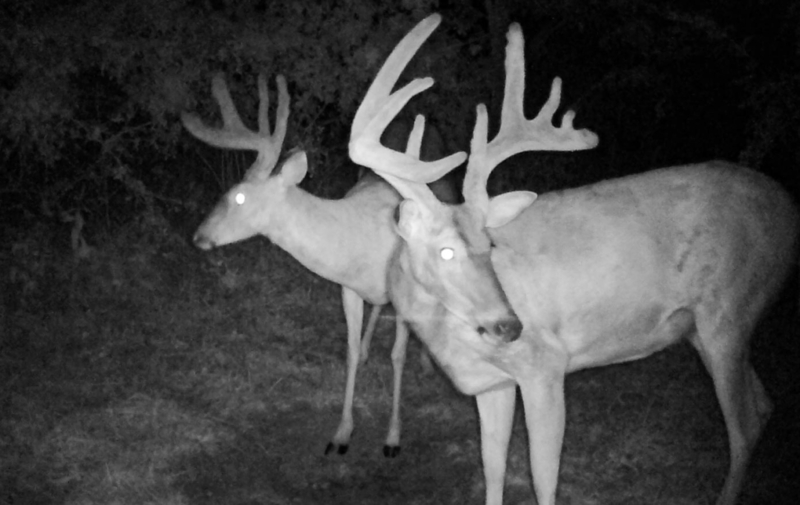 2 deer over 180” have been passed in the past few years. 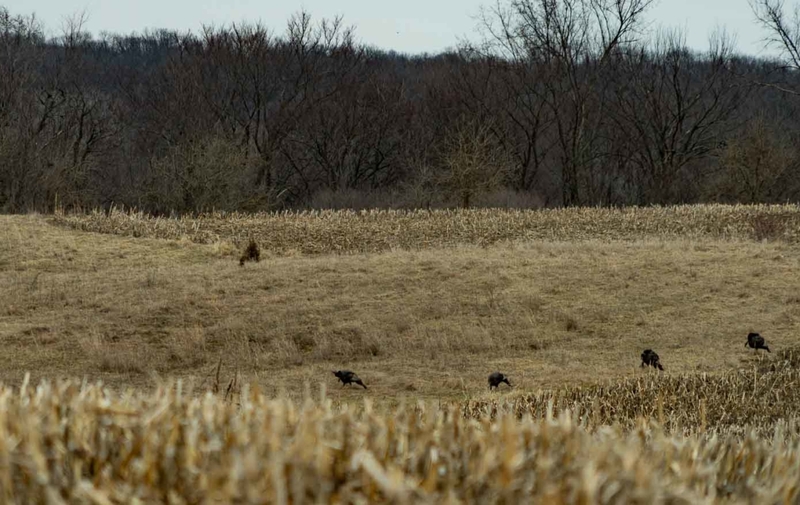 The management plan includes harvesting several does each season to balance the herd. 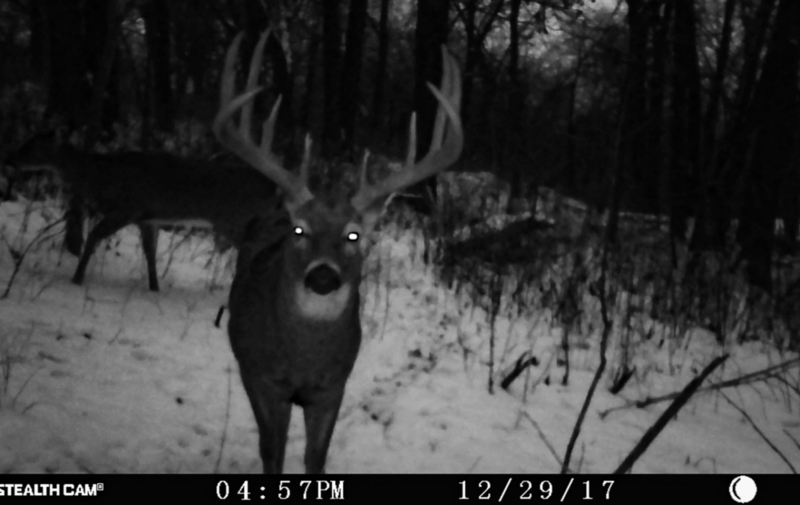 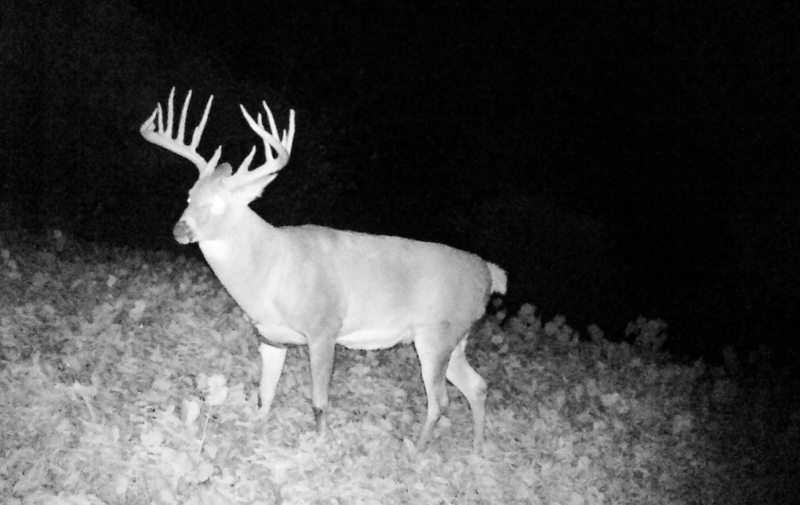 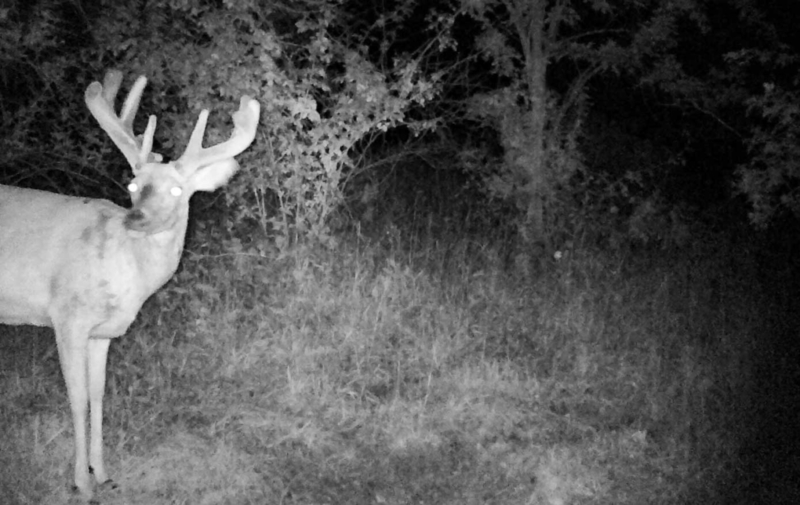 Of course, good genetics is a huge component of having big mature deer to hunt, which is clearly the case on this property as documented with the pictures and video included on this listing. 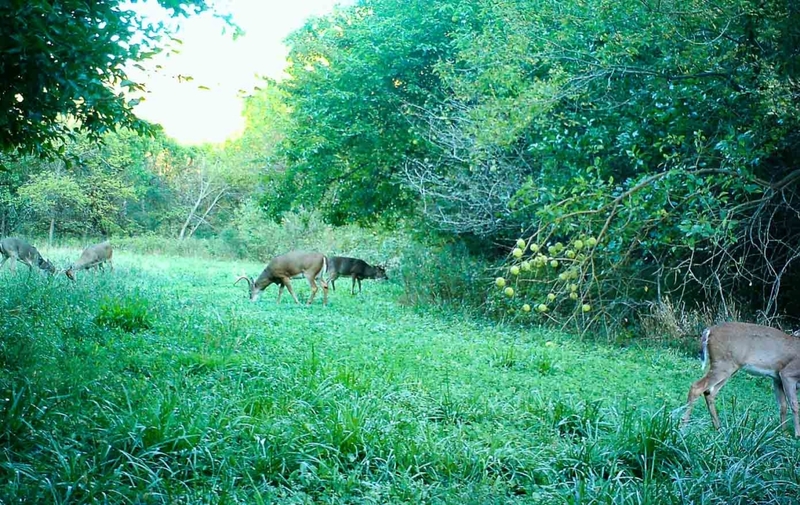 Good access and habitat play another role in a stand out hunting farm, which this property also has. 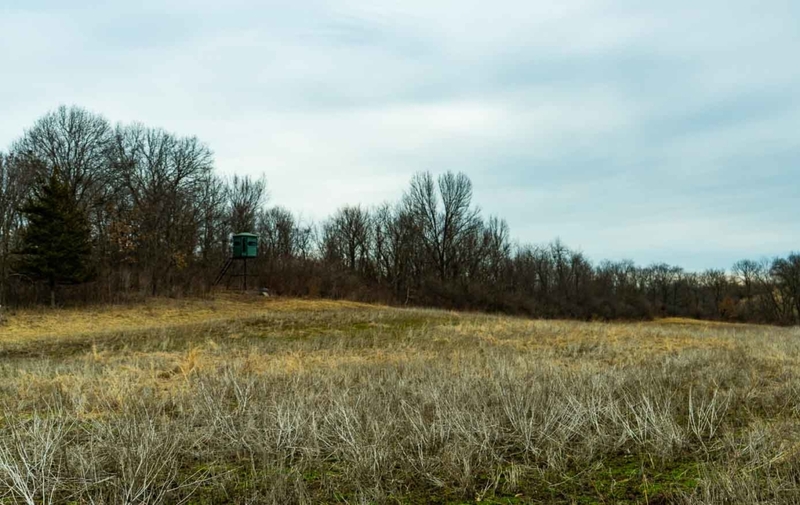 The primary access is off paved road frontage, which eliminates any unwanted onlookers and provides a great building opportunity as a bonus. 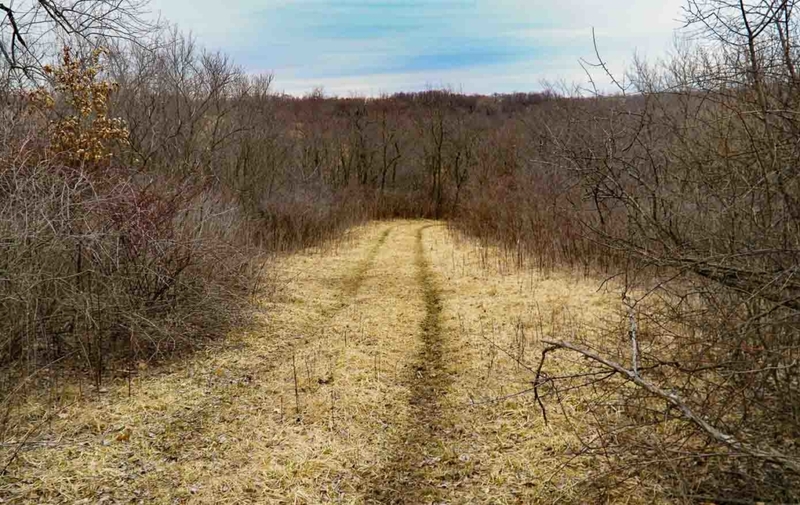 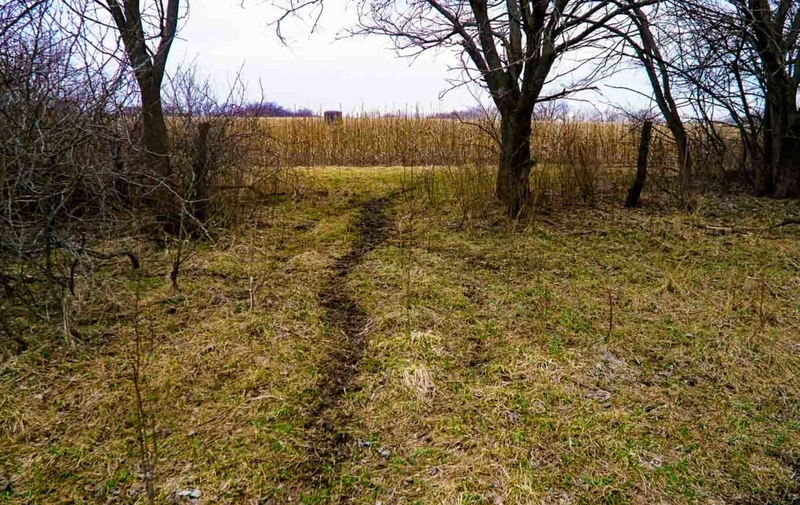 Between the thick cover and rolling hills on the property its easy to get deep within the farm undetected using the established trail system. 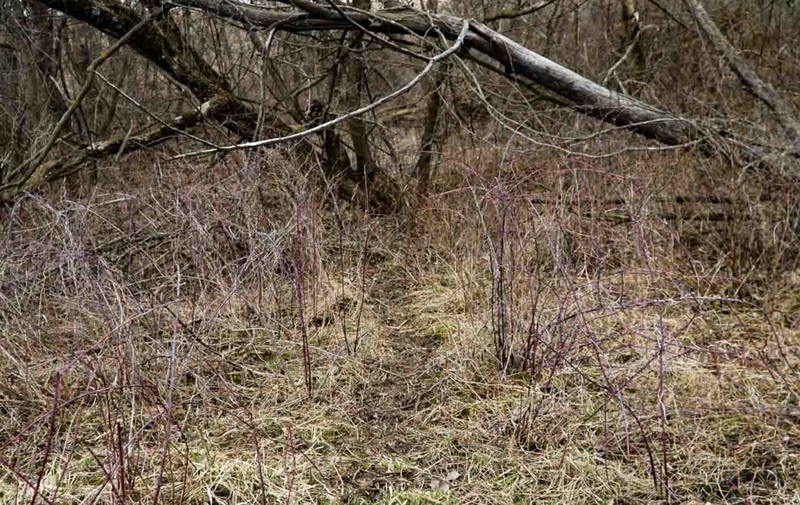 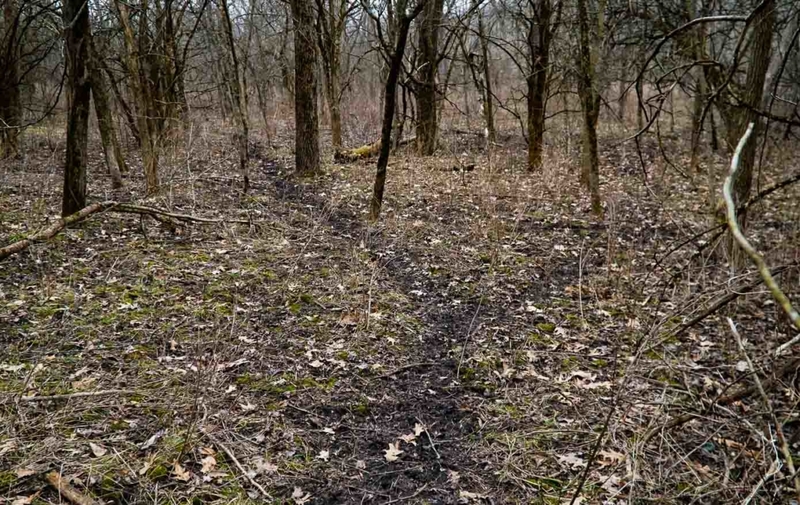 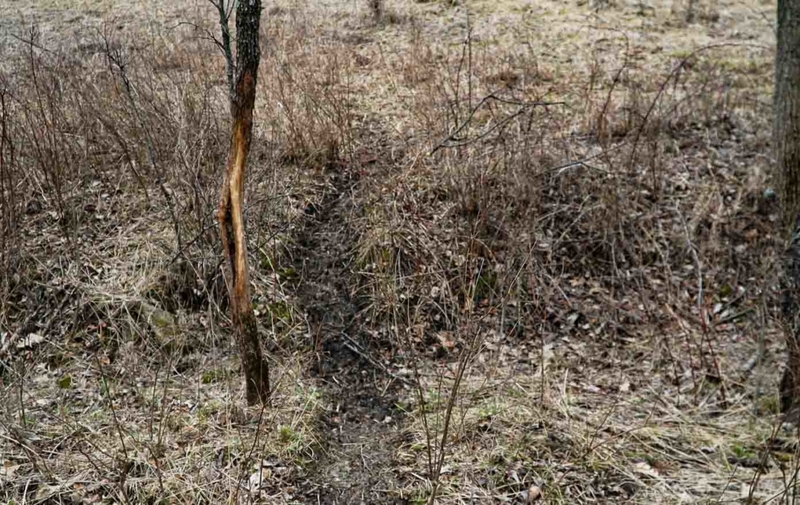 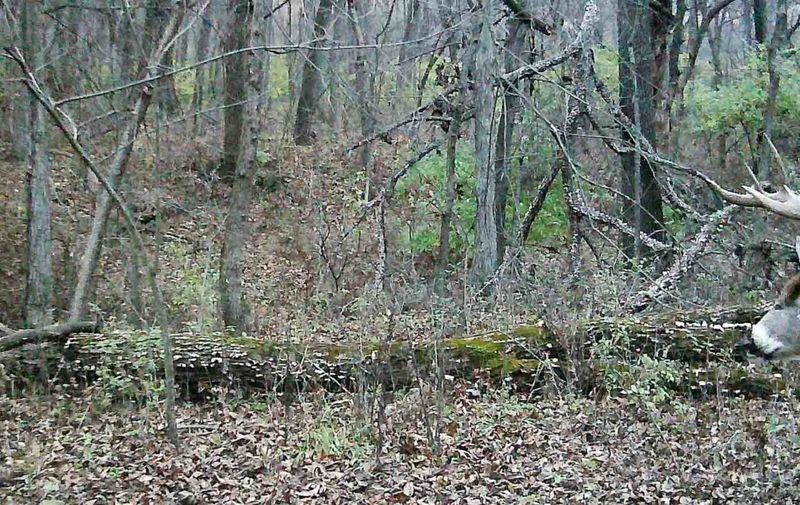 In addition, an old rail road provides a secondary access from the East for the best rut spots deep in the timber. 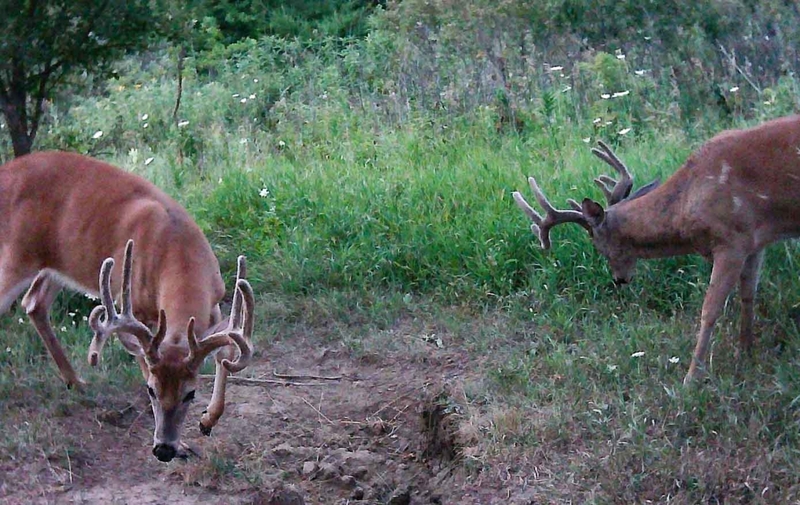 The farm connects to a huge section of timber to the Northeast, from which new bucks frequently travel throughout November. 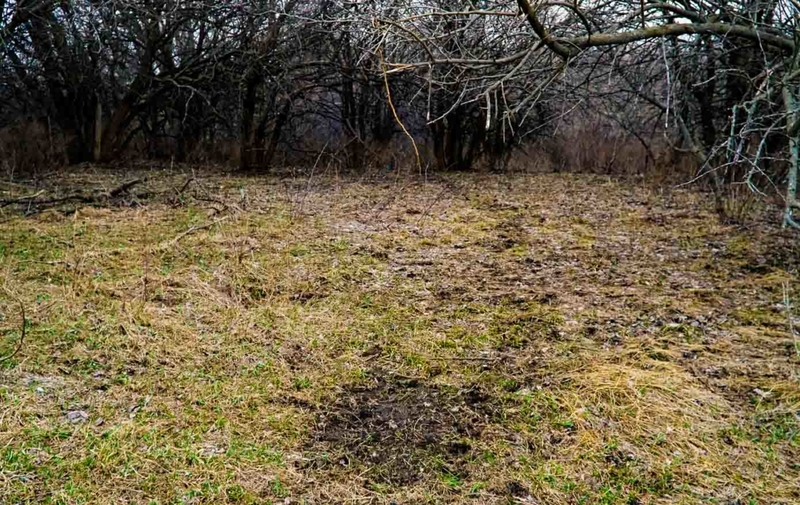 Every style of bedding cover can be found on the farm, including hardwood timber draws, hedge/cedar thickets, and warm season grasses. 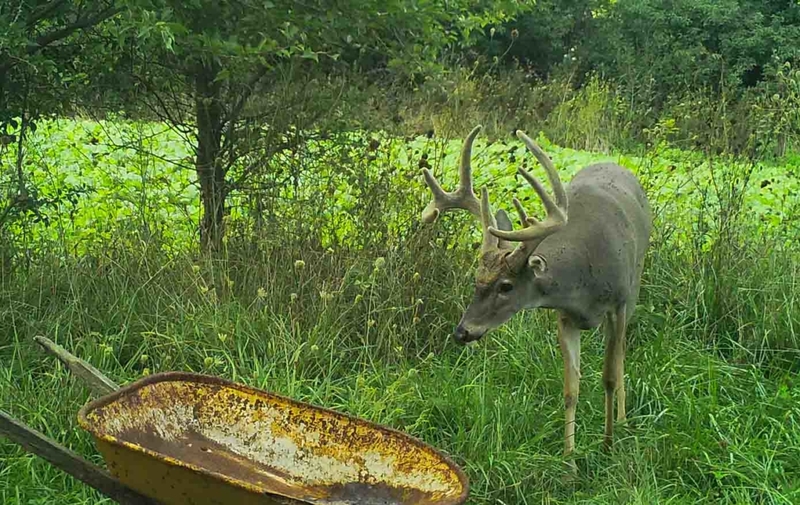 The entire center section of the farm is left as a sanctuary, which provides excellent holding power; something necessary for multiple mature bucks to feel comfortable throughout the season. 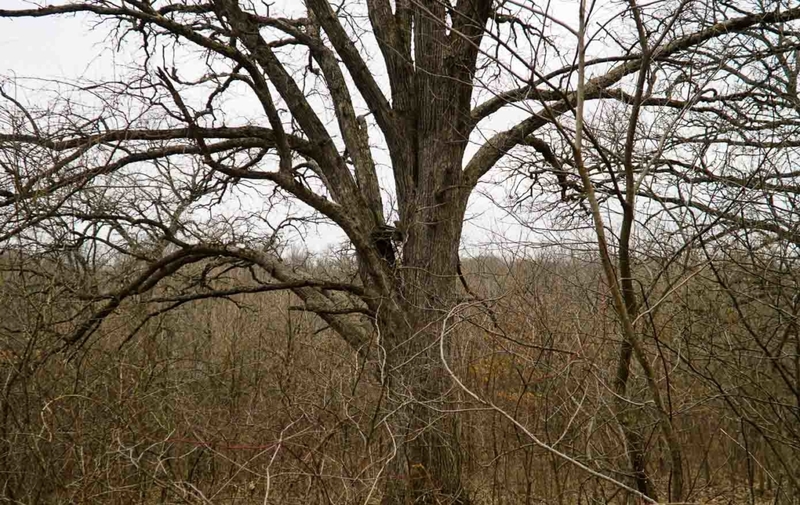 Several huge oaks put off a good crop of acorns and loads of turkeys roost in them every year. 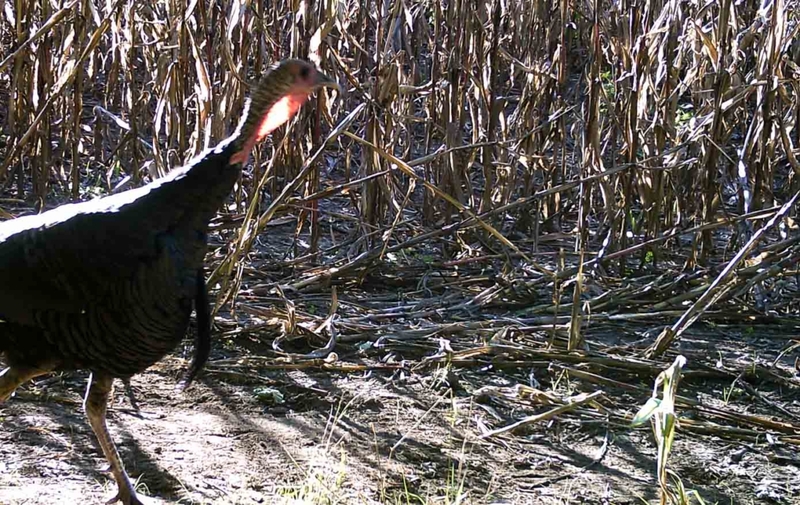 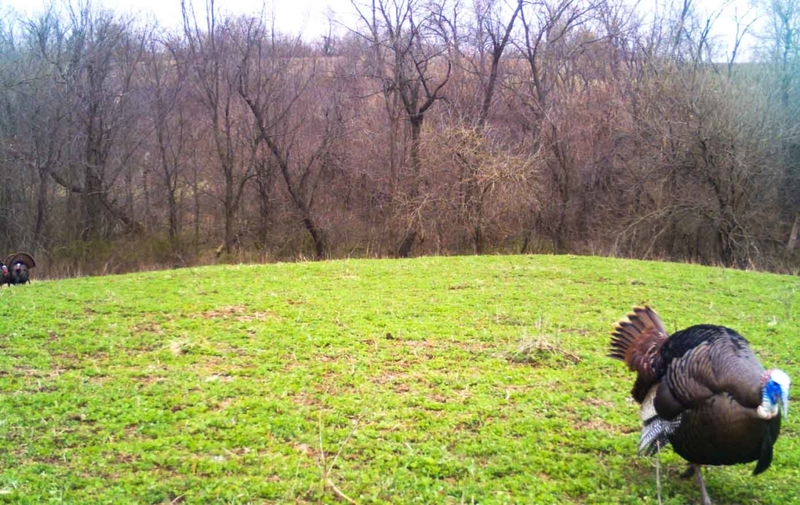 Years of successful spring turkey hunts prove the numbers are strong on this tract. 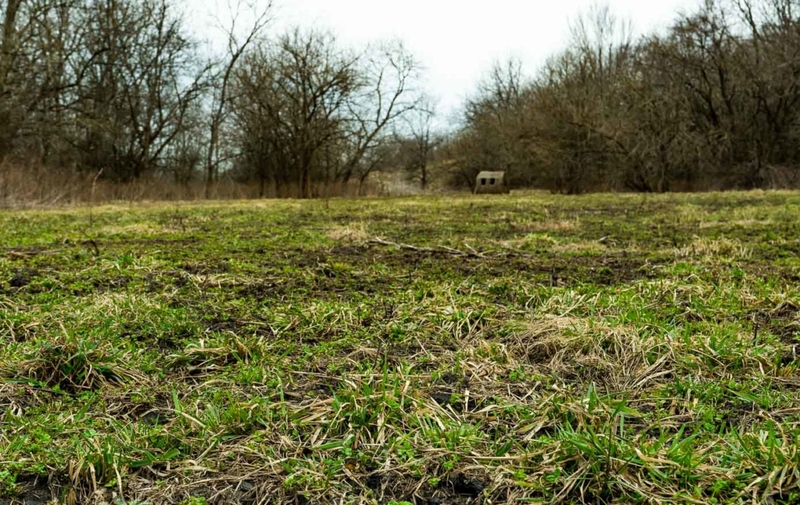 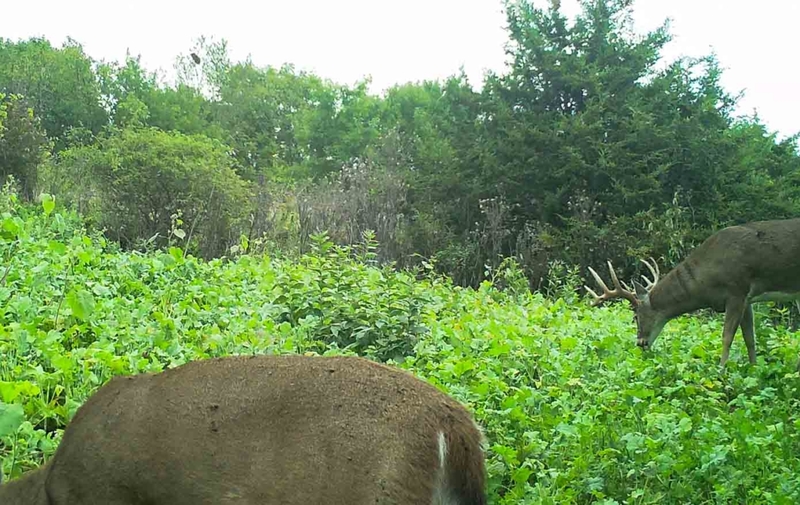 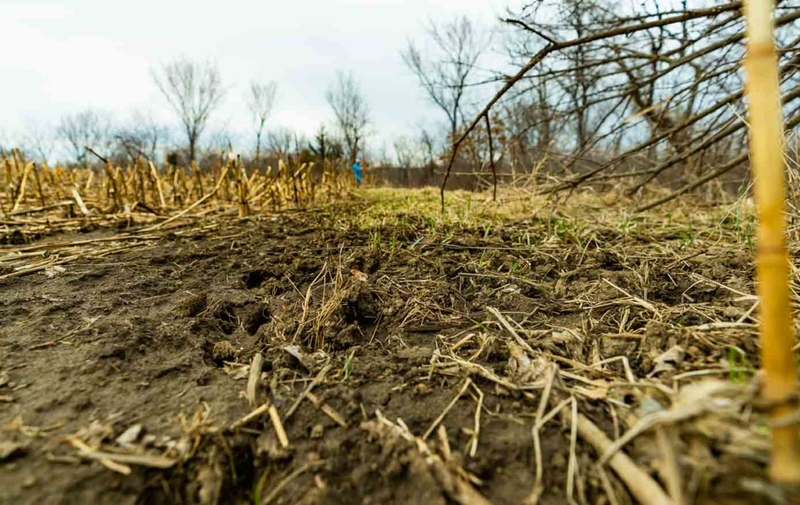 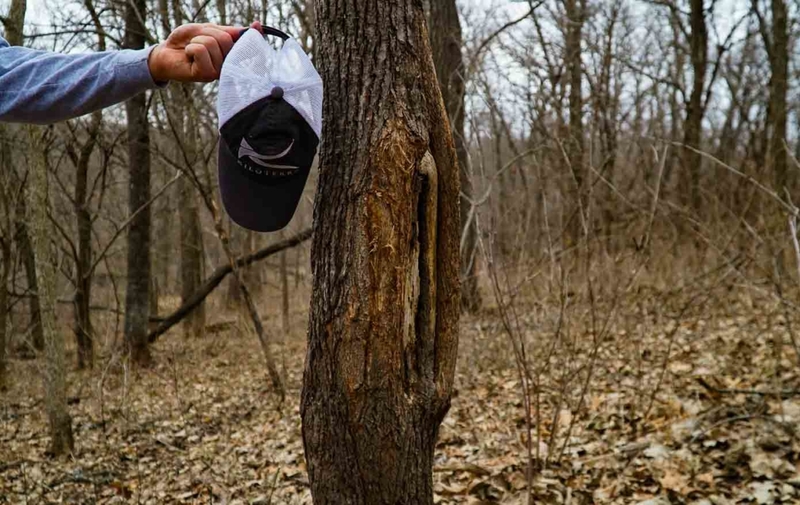 2 acres of the 29 tillable are left standing every year as late season food plots, and with 4 other green sources, the property has a perfect balance of food and cover. 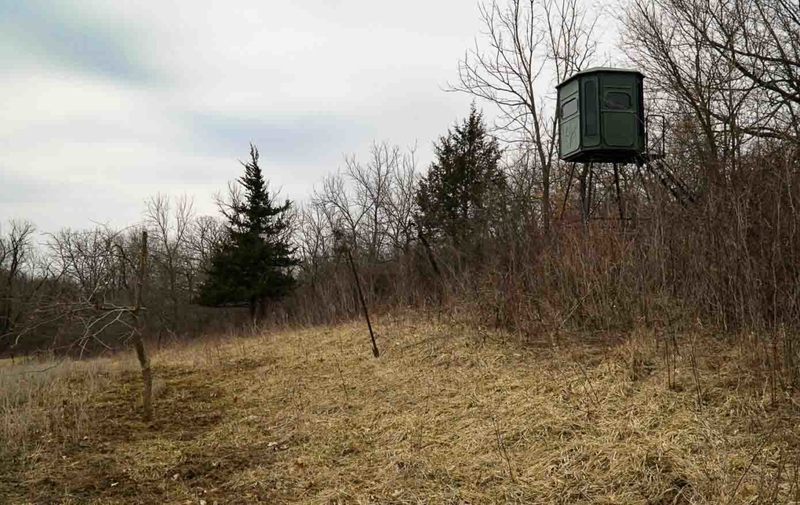 2 Redneck tower blinds are already in place and included with the purchase. 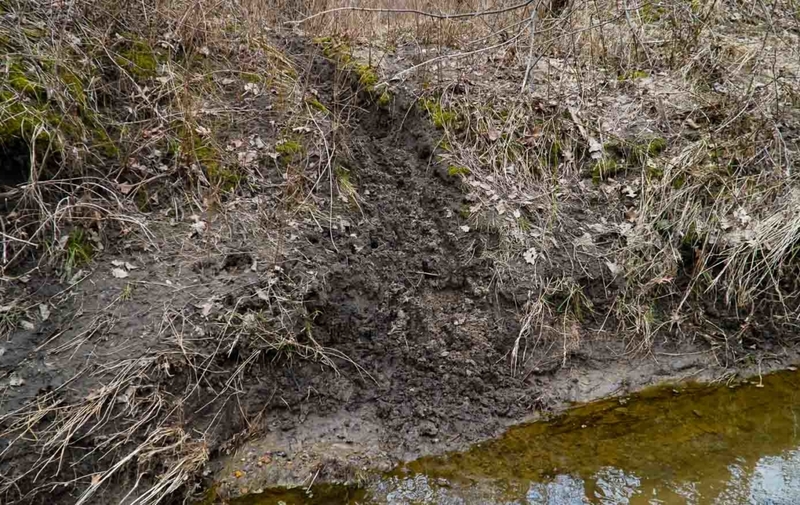 A natural spring and small pond provide year-round water for the wildlife. 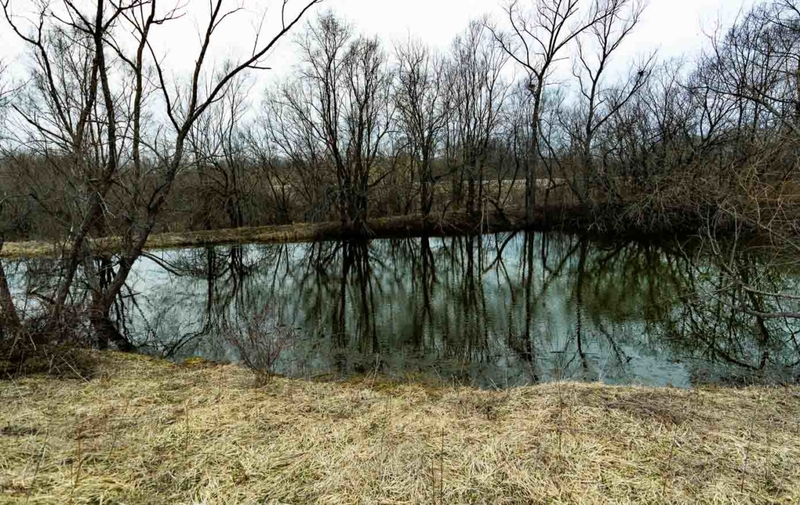 A big drainage on the North draw would make for an excellent larger pond location if fishing is something the new owner desires. 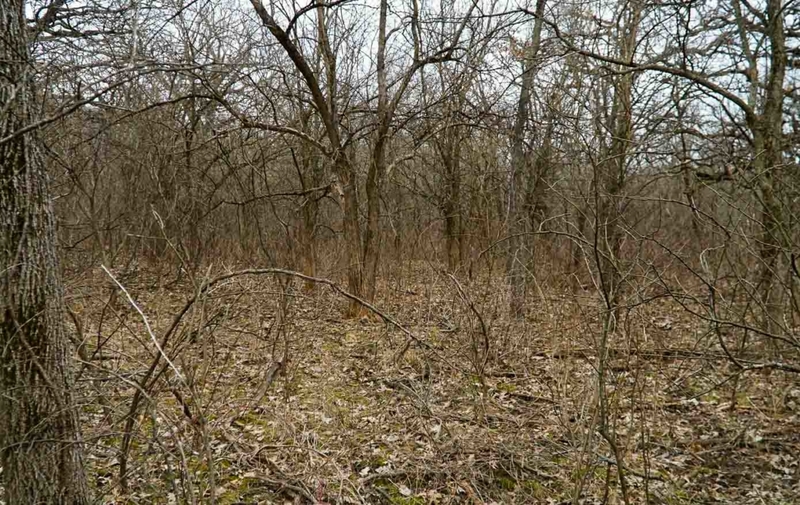 It’s clear, the hunting on this property is as good as it gets for a property this size. 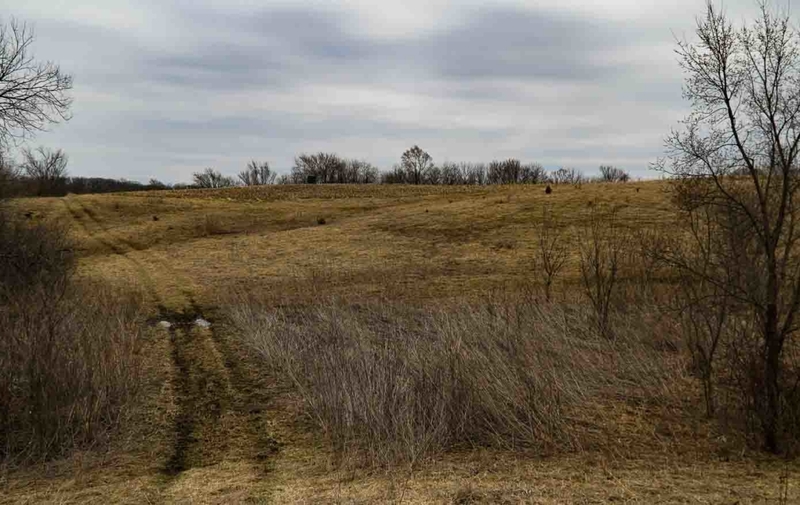 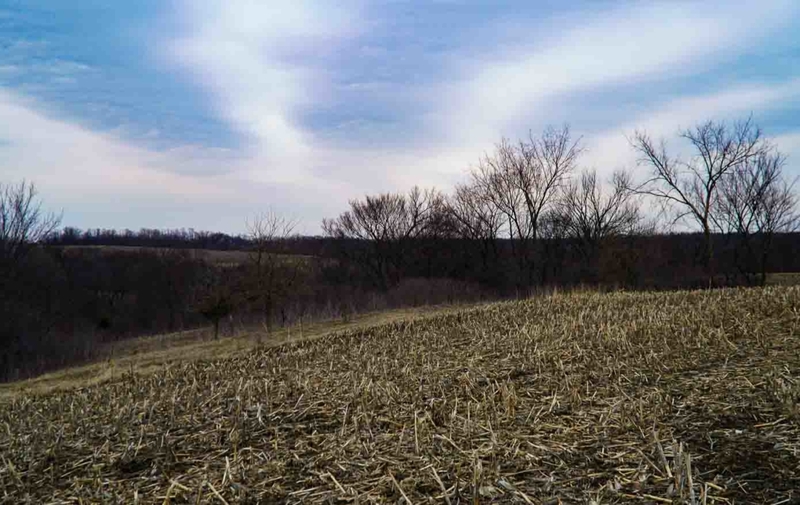 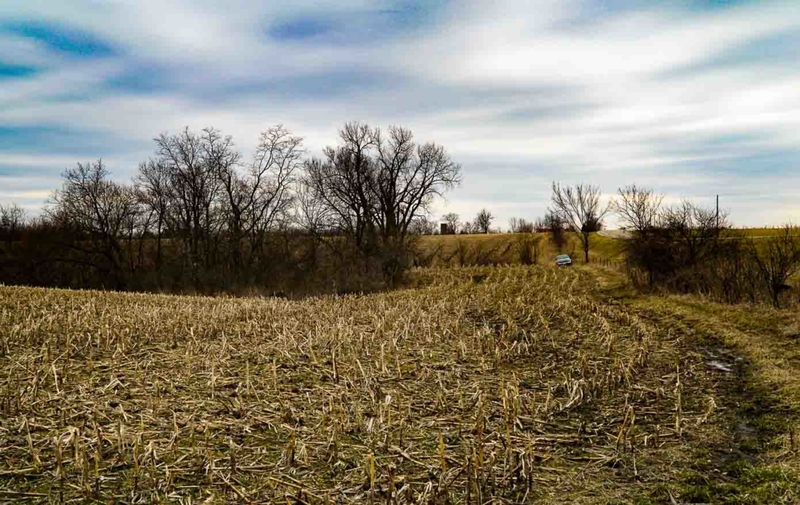 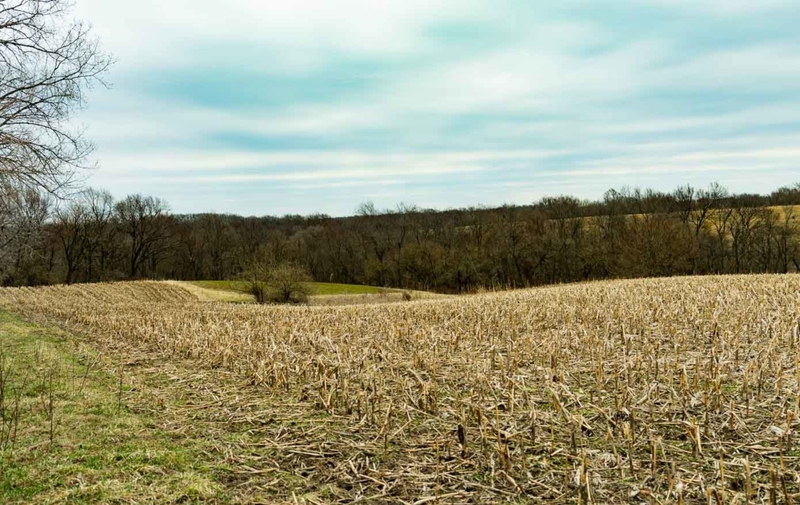 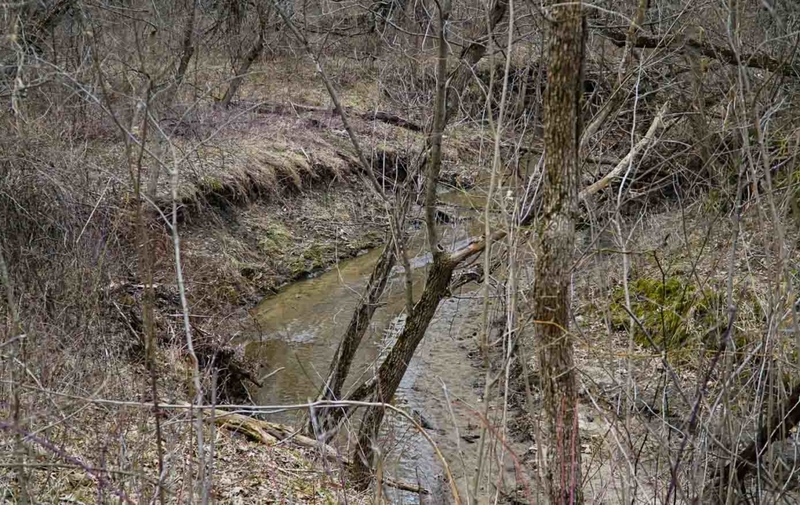 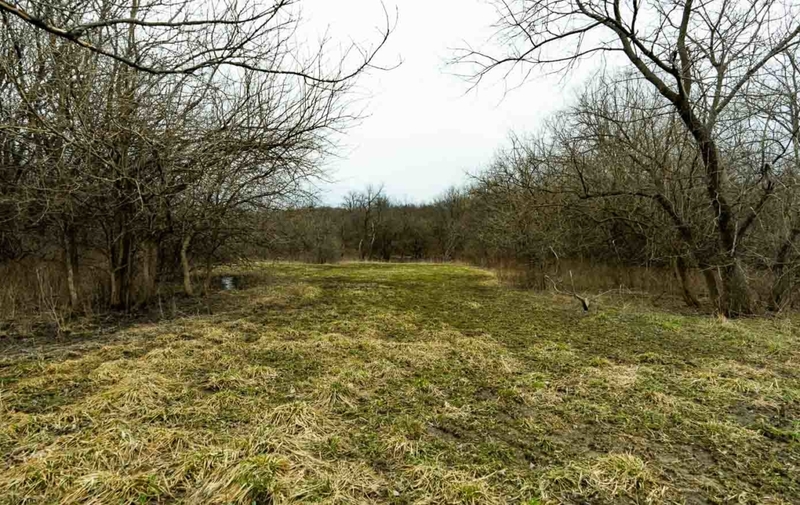 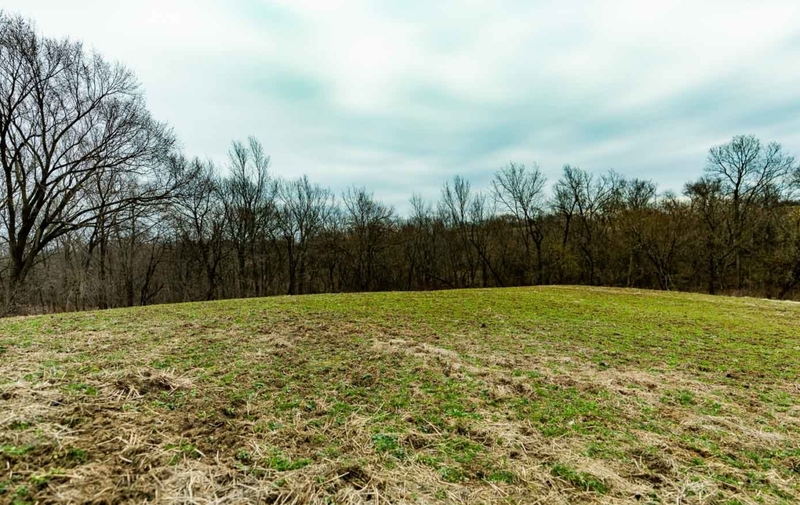 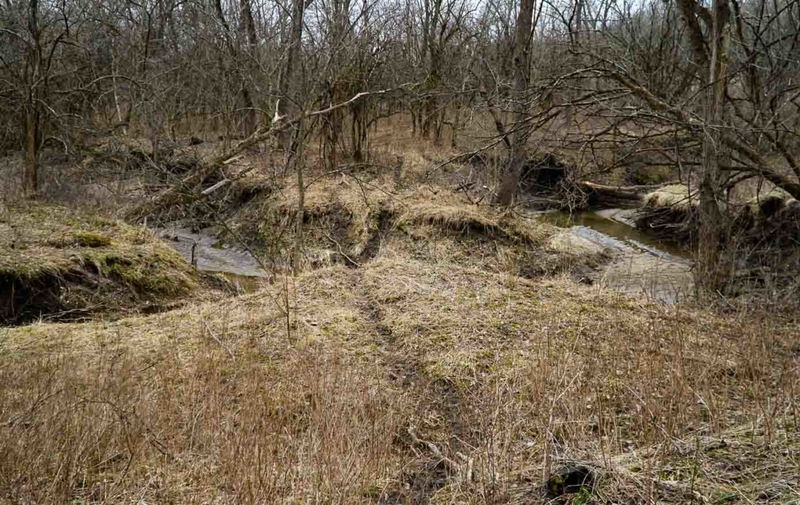 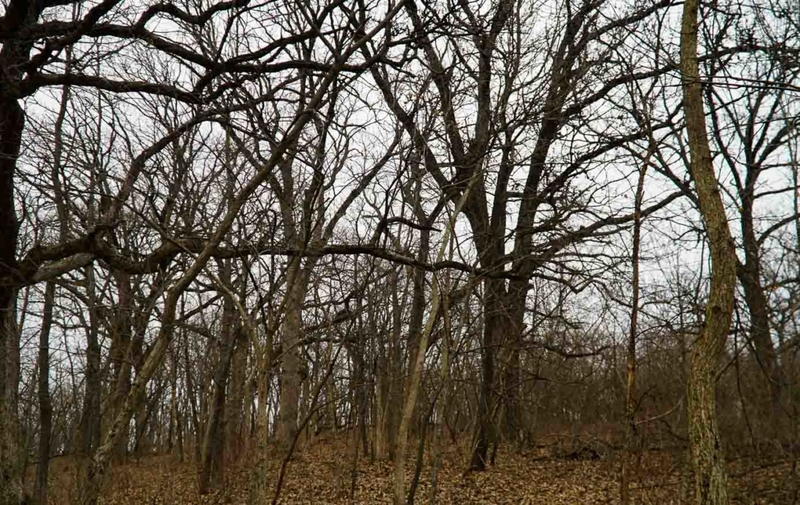 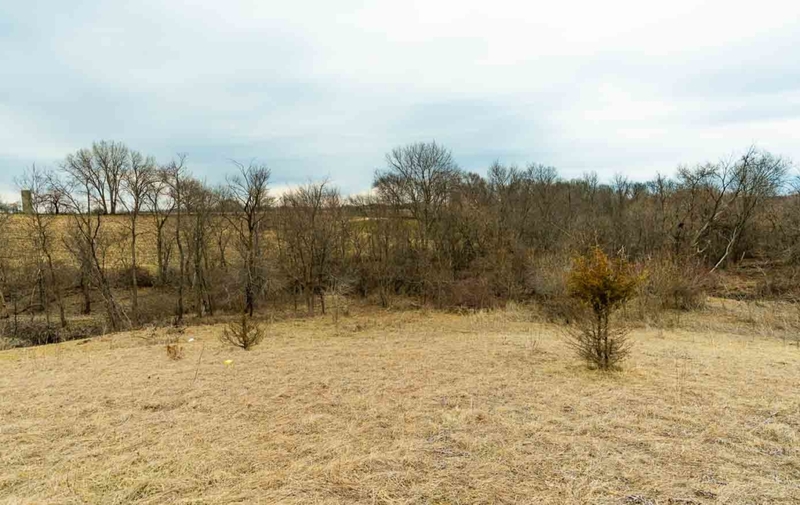 With an easy drive to Des Moines and good access, this farm will provide the new owner with years of great deer and turkey hunting to enjoy with friends and family. 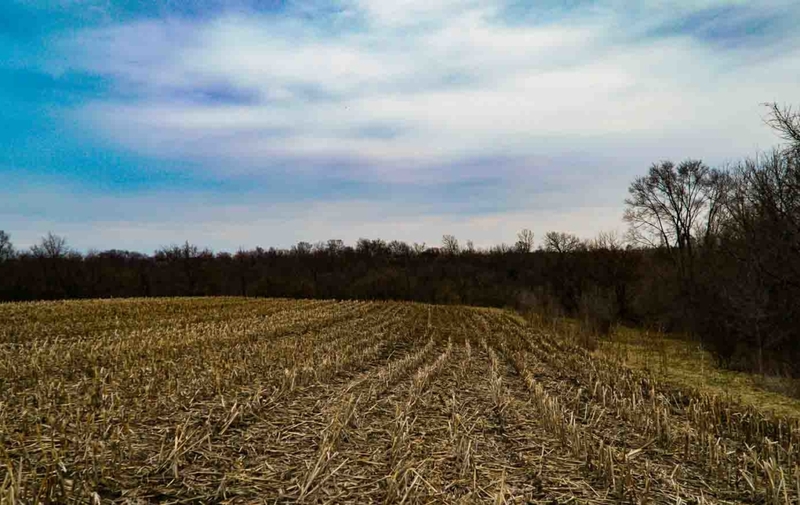 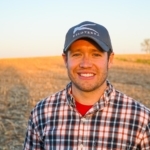 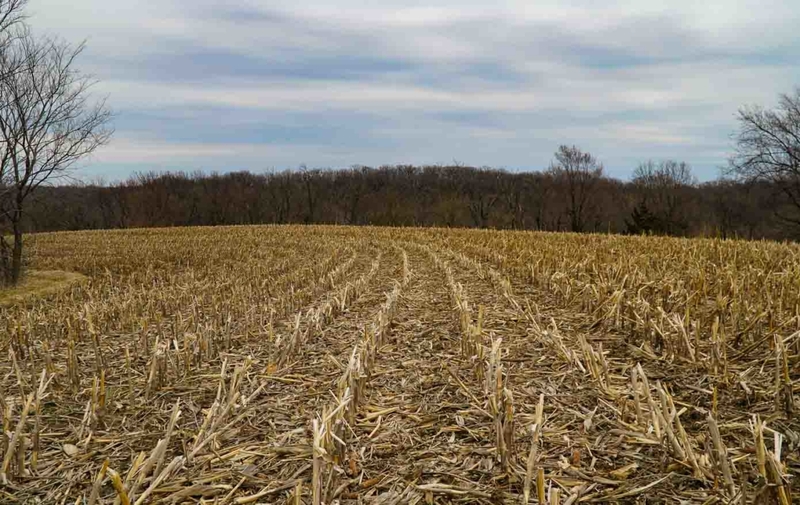 The 29 acres of row crop is rented at $150/acre for 2019 ($4,350) including the 2 acres of late season plots. 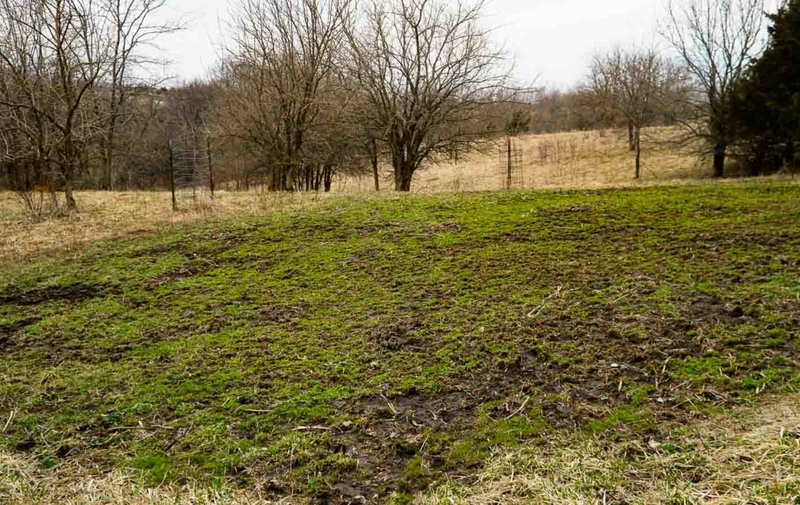 The farmer is interested to rent for many years if the new owner should desire. 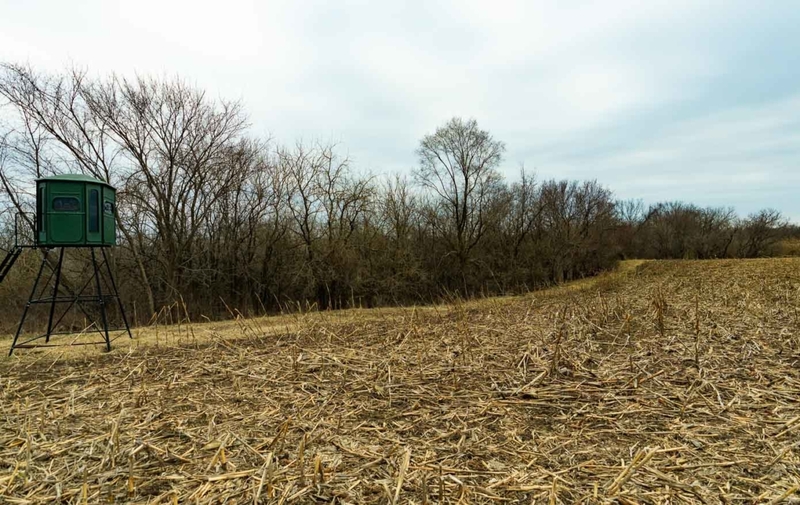 A harvestable stand of walnuts, oaks and hedge posts provide additional long term income and increasing the investment value of this tract. 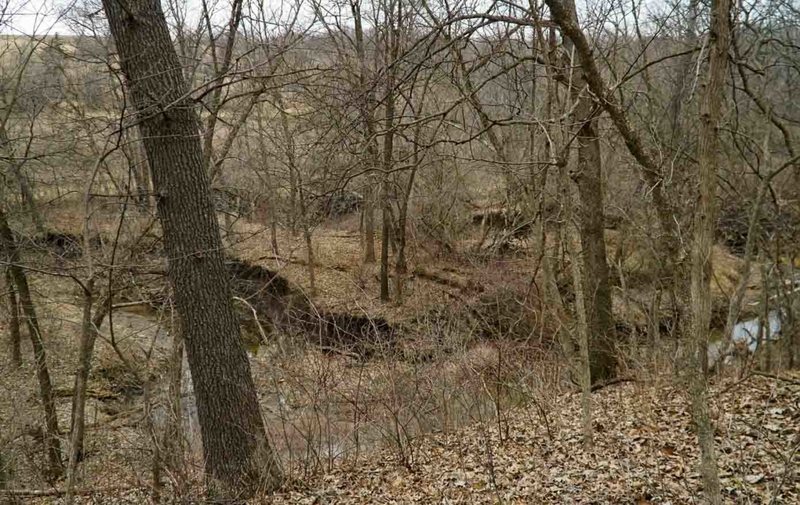 To schedule a private tour of this awesome property, contact KILOTERRA Broker Chuck Johnson. 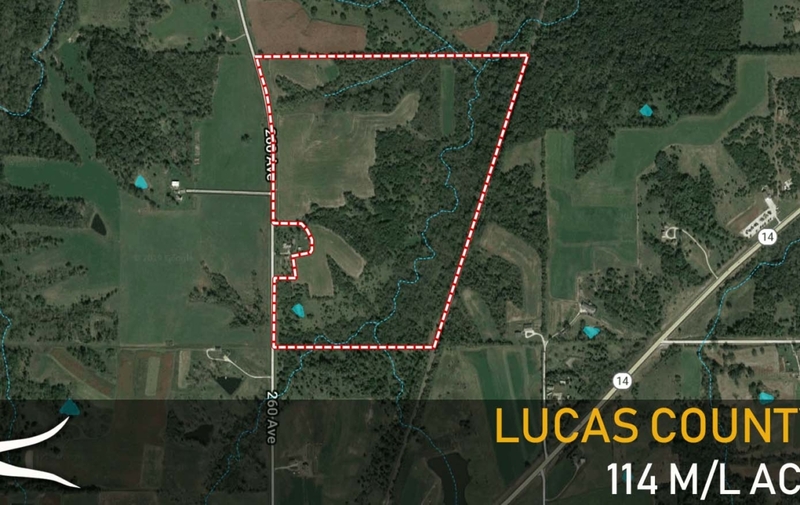 *Owner of this property hold a real estate license in the State of Iowa.